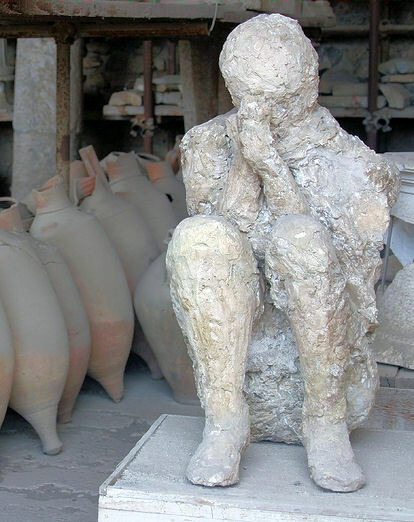 Located 12 miles from Naples is the Roman town of Pompeii at the foot of Mount Vesuvius. In 79AD the catastrophic eruption of Mount Vesuvius buried the town under 20 feet of ash and pumice stone, preserving the entire city. During the walking tour of the ruins, admire the mansions and art of wealthy patricians who moved to Pompeii to escape the turmoil of Rome. At intersections are stepping-stones that ensured pedestrians a safe crossing. This prosperous city had an extensive forum, lavish baths, temples and villas richly decorated with frescoes. Excavations have revealed details of everyday life such as the wine jars still set on the counter of the wine shop. If time allows a stop will be made at a cameo factory to learn about the delicate art of cameo carving and the opportunity to purchase some of the handicrafts. Driving south, the next stop is the fabled town of Sorrento. Legend states it was the sirens of Sorrento who attempted to lure Ulysses onto the rocks. Don't forget to bring your camera. If minimums are not met we may offer you to combine with a similar tour Excursions listed for a port may not be available for every cruise.